With the future in mind and aiming to improve the sector, the IPE has introduced a new discipline named Functional Land Bank intended mainly to bring lands into the market by making them accessible for the developer, in this way the institute’s representatives, after the pertinent filter, offer them to former IPE students on a priority basis and later to the developer in general. 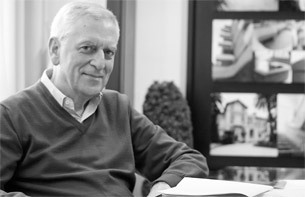 During the II Convention of the Spanish Real Estate Advisory Network (RAIC) by the IPE on last September 25th, the architect Angel Asenjo Díaz was appointed President of the Spanish Functional Land Bank (BSF), highlighting his extensive professional career on urban planning and architecture fields. After forty years leading his practice, the architect Angel Asenjo has gained knowledge in land processes which will help to assist and direct the operation of the educational institute’s department.